It’s April Fool’s Day….Why Not Move to Tel Aviv? There’s only one lead singer of Van Halen. Sha’anan Street was right. The chumus in Jerusalem is good and it is in fact baduk; I checked it outside the Damascus Gate just a week ago and in the Christian Quarter on Saturday (I’m pretty sure it was at Lina but there wasn’t a sign so I could be wrong. And as I told my friend and co-eater at the time, if it doesn’t have a sign or even a printed menu, it’s probably really good. And it was.) I’m pretty sure Tel Aviv has nothing that compares to the mystique of the Old City (have you been to the Temple Mount? I recently went for the first time.) And there is nothing like the roga and sheket Sha’anan describes like on a Saturday afternoon in Jerusalem. 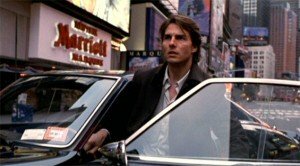 So many times I find myself the only one on the street as if I were Tom Cruise in “Vanilla Sky” (just without the nice car, Hollywood looks, and overdramatic Tom Cruise faces). And there is no doubt ha’ir hazot hichzir li et hashlita b’chaim (this city returned control to my life). My life stabilized by leaps and bounds over the last few years living here. Where IS everyone??? Oh yeah, it’s Shabbat in Jerusalem. I return to Tel Aviv an oleh of five and a half years, someone who is making a living doing what makes him happy, collaborating with several different organizations here and in the US, as opposed to a guy who just a few years ago was bouncing between jobs writing blog posts about online casino games or celebrity gossip (didja hear the one about the oleh chadash who did dumb jobs based on his English fluency?) When I last left Tel Aviv, I actually had daymares about Bituach Leumi (our equivalent of social security) and Mas Hachnasa (the income tax authority) giving me a beatdown in a dark alley due to my self-employed tax situation being in such disarray. Fast-forward to now. I can walk into both offices with my head held high (as if anyone would ever want to walk into either.) As I detailed in my five year aliyah post, it took a few years, but life really started coming together over the last year or two. And even though Orange is still charging me despite having left them over a year ago, life is pretty good, with shlita over my chaim. Mrs. Benjamin Lovitt? F*** you, Orange. My social life, by my own doing, is pretty non-existent, and I take responsibility for that. At the same time, I have been either fully or partially self-employed for almost the entire time I’ve lived here. And lemme tell ya, when you don’t have a normal full-time income, combined with having an artist’s insatiable desire to create and stifle the inner critic saying you’re not doing enough, you can expect your work hours to be a little excessive. I have directed a lot of time that could have been channeled into a social life into a focus on work. Whereas I’m pleased and thrilled at my accomplishments over the last few years, a total lack of work-life balance probably isn’t the healthiest thing. When a few weeks ago, I raced home early Saturday evening thinking, “wild horses couldn’t drag me out tonight“, that was it. With pretty great clarity, I knew it was time to go and I haven’t looked back. I’m also not particularly observant (religiously, I mean….not like “omig-d, how long has my tie been sitting in my soup?” Uh, ok, I’m pretty unobservant by that definition as well.) Despite my newfound exposure to a crowd more observant than me, it’s not the most natural fit. More of my friends and more of my good friends from before I moved here are in Tel Aviv. And I know that we have to take responsibility for things in our lives but for me, right now, it’s really hard for me to improve my Hebrew in Jerusalem. I’m hoping that will change there. So that’s that. I knew it was the religious thing. Like everyone else who’s fleeing Jerusalem, you’re probably sick all the religious coercion, right? Wait, so you’re religious now??? 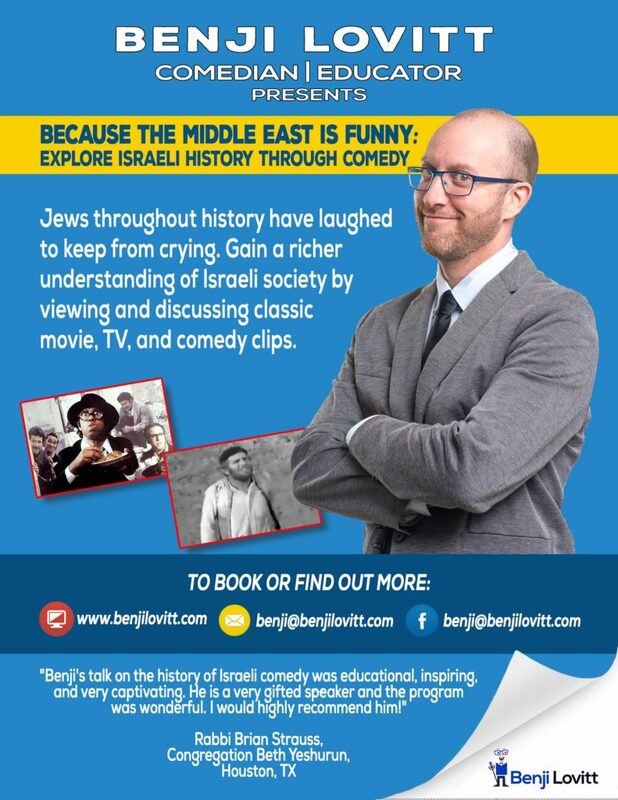 It’s not about being a dramatically different Jew from when I arrived. It’s about how we look at each other. Some people in Tel Aviv refer to Yerushalmim as those “dosim” as if everyone who has any pride in Judaism can be just painted with broad strokes (and to be fair and honest, I didn’t really get it before I lived here either). As if a kipah-wearing Conservative Jew who keeps Shabbat is to be grouped in with the Modern Orthodox who might get grouped in with the Charedim who spit on eight year-old girls, because of course, why do the laborious mental work to get to know them and see the differences? I didn’t encounter it as much but I’m sure there’s a good amount of those feelings about Tel Avivim here as well, and when I heard people criticizing Tel Aviv as the city of sin and apathy or whatever, you better believe I defended all my friends there. If you want to consider yourself to be an open-minded person, I think you’d better be willing to give some of these things up. Because “those dosim” are everywhere in Jerusalem (and I hear they’ve even grown in numbers in Tel Aviv since I’ve been gone). In your office. In your social circles. In your (gasp) apartment building. You might even live with one. And you know what? They’re both normal and pretty awesome. I realized that datim leumim (“national religious”/Modern Orthodox? Again, those crazy labels…) feel pretty much the same way about religious extremists that chilonim do. Probably the majority of my friends or acquaintances in Jerusalem were what a lot people in Tel Aviv would call “religious” (and again, I should include myself in that). And as I surely have written here before, Jerusalem taught me to love Shabbat. Not the weekend. Shabbat. When I first moved here, it happened immediately. I have always felt that if you’re trying to compare Jerusalem and Tel Aviv, both cities fail by the standards of the other. If nightlife is important to you, sorry, Jerusalem, I’m giving the edge to the city that never sleeps (nor stops sweating). If you’re looking for spirituality and a relaxing Shabbat, sorry, Tel Aviv, I also love brunch in a café or relaxing on the beach, but it’s just different here. You can’t win them all. I spent my last Shabbat sitting on the tayelet overlooking the city and walking around the Old City amid the most diverse crowd of people you could ever imagine. In Tel Aviv, Friday afternoon slows to a crawl. In Jerusalem? It slows to a corpse. Seriously, it’s DEAD. And it’s still mind-bogglingly awesome to me. That whole “Vanilla Sky” thing again. A nap is enjoyable everywhere but there’s nothing like doing it in solidarity with your neighbors when approximately 87.4% of the city is doing the same. Hey, Hamas-if you want to push us into the sea, forget starting on the coast. Just attack Jerusalem on Shabbat. You could take over Katamon in about five minutes if you arrive at 4 PM. And, man, I wish I had a better word but Jerusalem is just flat-out interesting as hell. 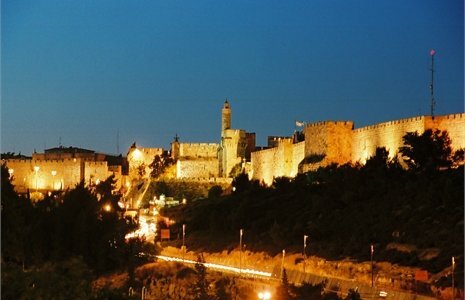 Whenever I leave the Old City and pass the Cinemateque, I look at the King David Hotel and Yemin Moshe across the valley and think, “no matter how many times I see this, I can’t wrap my head around what I’m looking at.” It’s stunning. Just another view in Jerusalem. A lot of people say Jerusalem isn’t Israel. I get that in the way that New York isn’t America. I also don’t think Tel Aviv is Israel. But I think the two cities together (plus all the people living everywhere else who are probably sick of this argument about which is more Israeli) equals Israel. There’s a lot of intolerance and infighting among the Jewish people these days. Does everything have to be a black/white, all-or-nothing competition? G-d forbid we open our minds and see the good where it exists. To everyone in their own bubble (whether it’s on Sheinkin St. or in Katamon), just know that if you choose not to come out, there are consequences. Not only to everyone else but to you because you’re really missing out. 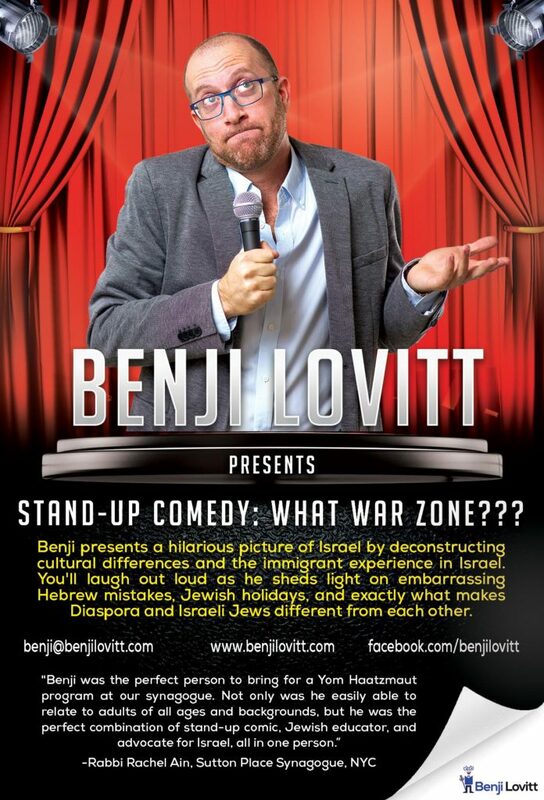 So Tel Avivim, come spend a Shabbat in Jerusalem. And Yerushalmim, go spend a Shabbat in Tel Aviv. You just might be surprised. So are you excited to go live the Tel Aviv lifestyle? Nah. I mean, what do you mean? Unlike the typical Jerusalemite who decides “enough is enough, I’m outta here”, I’ve done Tel Aviv already. I bled Yarkon River green for 2+ years upon my arrival. I don’t need to release years of pent-up energy partying, exploring the nightlife, etc. With my rent exactly twice what I paid in my last Tel Aviv apartment, I have good reasons to live a bit more boring of a life than I used to while continuing to work hard (albeit with more fun breaks in between). As for where I’ll be living, I signed a lease with my new friend Yosef, who directed this video which you may have seen. So I’ve been wanting to make more videos, haven’t spent a ton of time on it for obvious reasons (for example, because I’m not a video editor), and will now be living with a professional. I’m excited. Am I wondering how I’ll afford to handle such a big rent increase from my current rent? Yeah. Am I concerned that my body has almost certainly forgotten how to deal with that lovely, sticky feeling of the summer? Sure. But am I excited to walk on Rothschild, go to the beach, sit in my favorite coffee shops, rekindle friendships, and return to a city which, by the way, is awesome? Yep. Or I will be anyway, once I find a subletter and get through the next few busy weeks. So come on, man, tell us once and for all: WHICH CITY IS BETTER? Ok, Regis, here’s my final answer. Are you ready for the big decision after 5.5 years? Here we go: who cares? And who the hell am I to provide this deep, ultimate truth? Everyone has their own opinion. They’re two different cities and I’m just choosing to leave one for the other because that was the decision I came to at this stage of my life. Jerusalem, I love you. Thank you for everything. For opening your homes and Shabbat tables to me. For eating chumus with me. Chumus Pinati. Chumus Ta’ami. Chumus everywhere. For the awesome Machane Yehuda shuk and running into 40,000 familiar faces on a Friday, for the supercool and fairly new bars in the shuk that I would absolutely positively go to if I were staying, for picnics, beautiful walks where a gorgeous view of the city and hills was always just around the corner, my favorite coffee shop Café Bezalel, the Comedy Basement, even the Gilad Shalit tent, and, finally, the wonderful people I met….I will never forget you. I will be back often, but it’s time to go. Now what was it I wanted to say…. Tel Aviv! (HINEI ANI BA!) Ani magia!! !